Welcome to this weeks edition of the Science Of Soul, first off let me apologies for the the problems we had with the pod cast last week, it was due to computer software problems at Bridge FM and unfortunately the program was lost, but don't worry all is hopefully back to normal and I will schedule all the new music over the next couple of weeks so our pod cast listeners wont miss out. 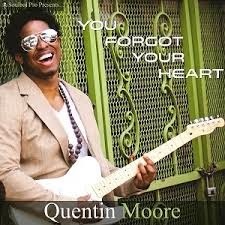 Featured artist this week is young man from Dallas, Texas, Quintin Moore, his new album "You Forgot Your Heart" is a great set, it was hard to pick 3 tracks to include but don't worry more will follow. 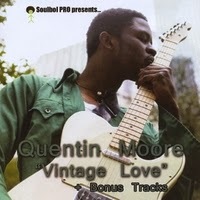 Soul Junction records continue maintain there high standards with a new single from J. 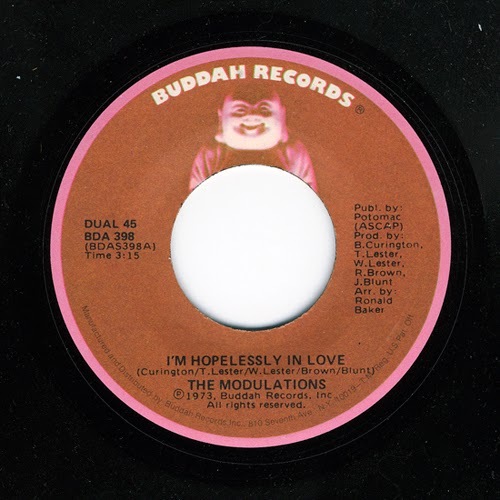 B. Bingham, recorded many years ago, it's just getting it's first release. 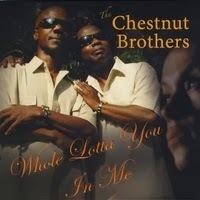 You might recall I played the latest release from Al Chestnut the other week, well Al kindly sent me a bunch of tracks by The Chestnut Brothers, some very classy music from these guys, I think your gonna like them I know I did. Along with the well known names on this weeks play list look out for the lesser known ones, in particular The Five Wages and a vocal group called Together, I can't tell you much about them except that they made some great music. OK enough from me on with the music please share our link and have a blessed week. 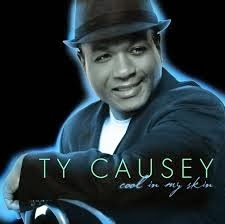 Thanks for stopping by the Science of Soul site, on this weeks show I'll be featuring Ty Causey, who's new album "Cool In My Skin" maintains the man's reputation for producing high quality work, he's based in Indiana, USA and Ty has built a catalogue of work that appeals to both soul and smooth jazz listeners and this new set slides comfortably into both markets. I think Ty is a major talent and I would recommend you check all of his work. I have included two tracks today and more will scheduled over the coming weeks. 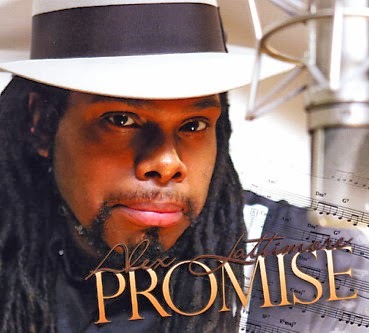 A new name to me is Alex Lattimore, until my dear friend Carmen from Sydney, Australia, sent me a copy of his album "Promise" which came out in 2008. He's one smooth guy, a kind of Will Downing groove to this set, and is great from start to finish, yes, you'll be hearing more from this guy over the coming weeks, looking forward to sharing his music with you. 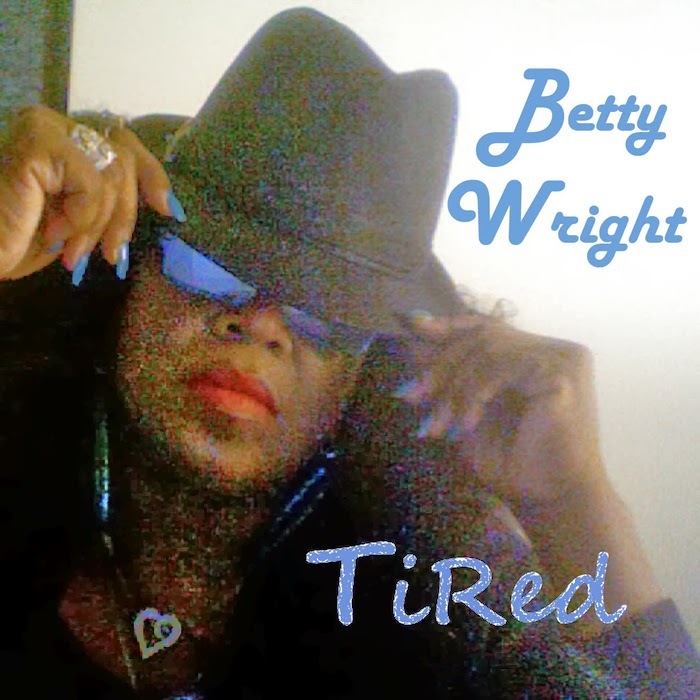 The word is out that Betty Wright's new album is set to drop around February, just cant wait! but as a little teaser for what is to come I'll be playing a track from the today. I think Betty has just got better and better over the years, the track I've included is "Tired", thinking; you'll love it! The new music front also gives us a song from the rising star, Jahah, (it rhymes!!!) 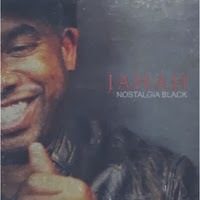 joking aside his album "Nostalgia Black" has been very well received. 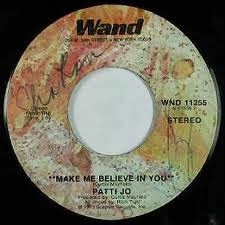 One of the stand out cuts for me is "Soul Music," a real back in the day groove with a modern twist. 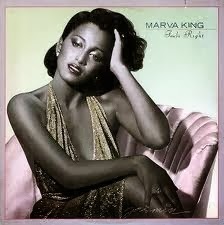 Don't forget we'll have all the classics that I love too, so sit back enjoy and share the soul. Click here to play for podcast on my own site. Mellifluous, enticing, passionate and dexterous - these are superlatives most certainly appropriate for defining the style and sound of acclaimed singer/songwriter, TY CAUSEY. Talented, prolific, and genuine are best in describing who he is. All combined the result unveils an artist that harkens back to the storied crooners of the past, but with a present day sheen that boasts a collage of soul, jazz and R&B. His brand of sensual soul and smooth R&B is winning over a growing number of fans and industry insiders alike on the strength of his five acclaimed CDs causing many to place him amongst the elite R&B vocalists on the scene today. Sorry for any delay with Bill Randle's Sunday Soul Show, but technical problems at The Bridge radio station are delaying the recovery of his recording of this weeks program. We hope to load it later today or tomorrow. In the meantime Bill suggests if you have the time, then listen to his interview with Dennis Edwards, that we recorded some years back for PCRL. Born February 3, 1943 is an American soul and R&B singer, most noted for being one of Motown act The Temptations' lead singers. 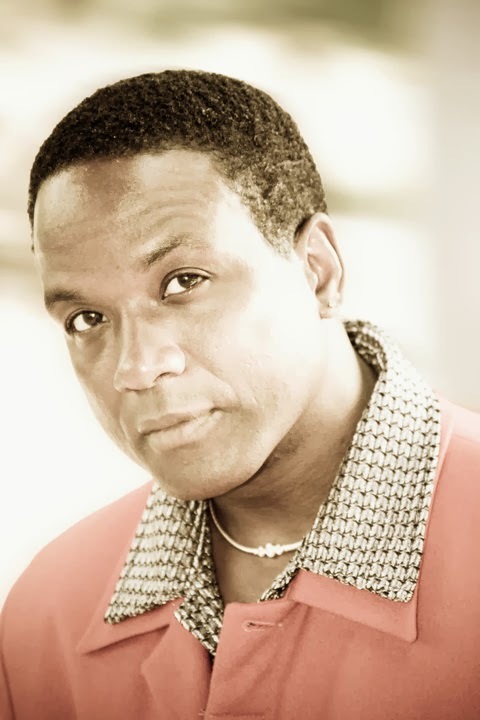 Edwards first joined the Temptations in 1968, replacing David Ruffin, and sung with the group until 1976, returning from 1980 to 1984 and 1987 to 1989. In the mid-1980s, he attempted a solo career, scoring a hit in 1984 with "Don't Look Any Further" (featuring Siedah Garrett). 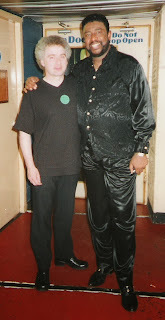 Today, he is the lead singer of The Temptations Revue featuring Dennis Edwards, a Temptations splinter group. 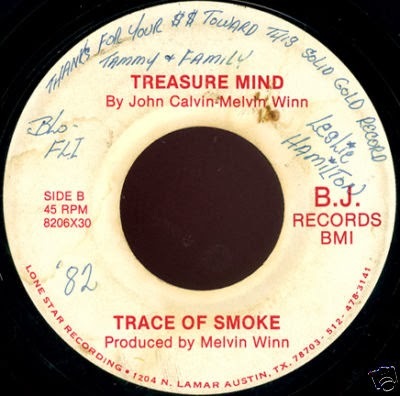 Welcome to another week's show, I had a very interesting conversation with my Florida soul brother Melvin Jordan, he asked me to have a listen to track that he thought was right in my bag, he knows me well, lol, the track in question was by a young lady by the name of Shelundia, recorded some years back but never released until now, she has only just regained the rights to her own music. I wont give to much away cause Melvin has recorded an interview that will broadcast in early February, I will include a link soon as its available but I have included one of the songs in tonight's show. Whilst on the subject of Melvin, he did a wonderful tribute show on one of my favourite artists Howard Hewitt, you'll find the link on my FB time-line, well worth checking out. 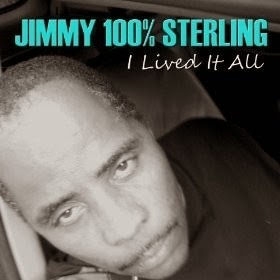 Featured artist this week is Jimmy 100% Sterling we got two tracks from his current highly rated album "I Lived It All," the set is well worth investigating, I think you will approve. 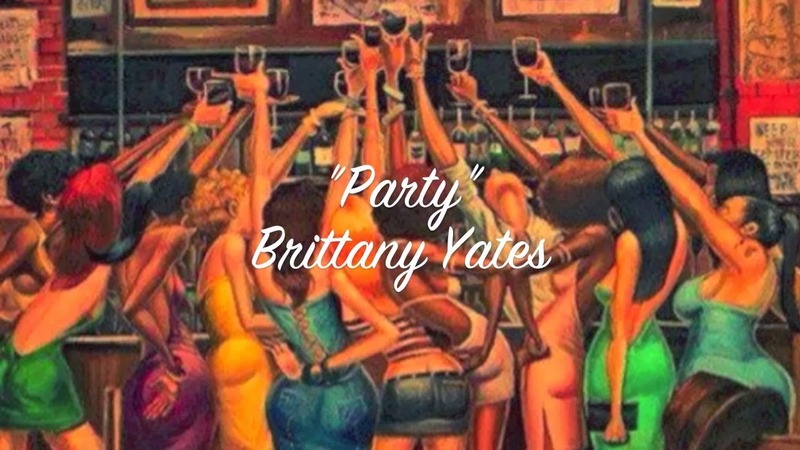 Also got the new single from Brittany Yates called "Party," produced by soul legend Mel Waiters, Oh, and check-out the Harold Melvin & The Bluenotes epic "Let's Talk It Over". 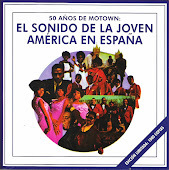 On with the show, sit back enjoy, remember to share the gift of music and spread the Science of Soul link, over 20.000 visits to the site now, so thanks to you all for continuing to share. Jimmy 100% Sterling I'm In Love With A..
Jimmy 100% Sterling's career started as a backup drummer for a variety of local groups around the inner-city and suburbs of Detroit. He even performed with Motown's Jimmy Ruffin at a very young age. 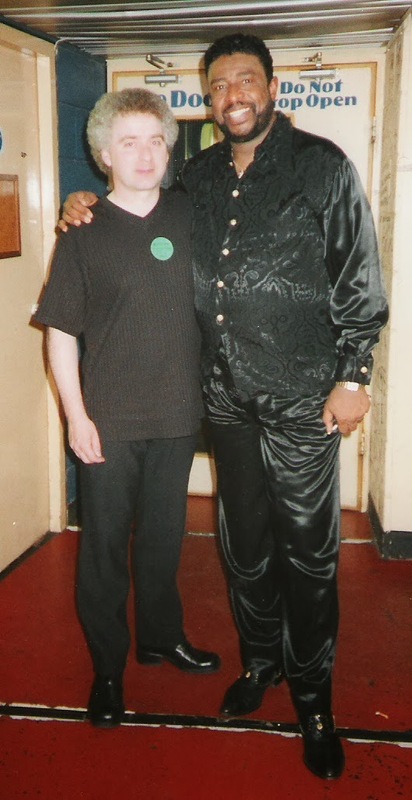 This also gave Sterling the opportunity to meet his musical idol David Ruffin who greatly influenced his vocal style. 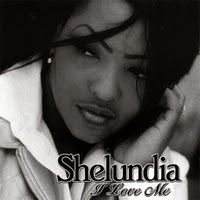 "I Lived It All" features two sterling Ruffin covers ("Heavy Love" and "Statue Of A Fool"). He later met one of the singers with The Chairmen of the Board, Danny Woods, who introduced him to the late great General Johnson. For six years he recorded, and toured with the Chairmen as a backup drummer/vocalist on the Carolina beach music circuit. 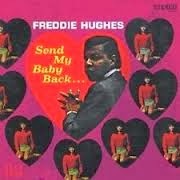 After an offer from CDS Records based on the strength of his signature song, "At Least I Tried" (the 45 was a collector's item on the Soul music ever since it's mid 90s release) he parted with the Chairmen to pursue a career as a solo artist. "I Lived It All" is Sterling's debut album. The album features 13, ten of which are new tracks produced by Sir Jonathan Burton including the showstopping ballad "I'm The One That Should've Been", the retro midtempo R&B of "Never Gonna Give You Up" and the aforementioned dance track "Heavy Love". There's also a brand new version of "At Least I Tried", while the original version also appears as one of three bonus tracks. 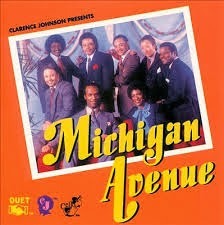 Jimmy 100% Sterling is one hundred percent Southern Soul meets Motown! Welcome to the first edition of the Science of Soul for 2014, first off my apologies for missing last weeks show, a very severe attack of vertigo was to blame, (thanks by the way to all the people who contacted me to check how I was doing, I was amazed to hear from so many friends around the world) my good radio colleague Bill Bishop sat in for me, and did a great job at very short notice. Looking back on 2013 it was a great year for SOS, we grew week on week, thanks to all the hard work by Mickey in producing the web site and pod cast every week, he is such a vital part the show, my part is the fun stuff, I get to play the music, also to all my friends at '102.5 fm The Bridge' and my soul brother, Mr Melvin Jordan II for taking it to new places with Legend107 Radio.com in the Sunshine State, all my Face book friends around the world, yes I truly mean all-around-the-world for sharing the links...I appreciate each and every one of you. I wish you much health and happiness for the New Year. 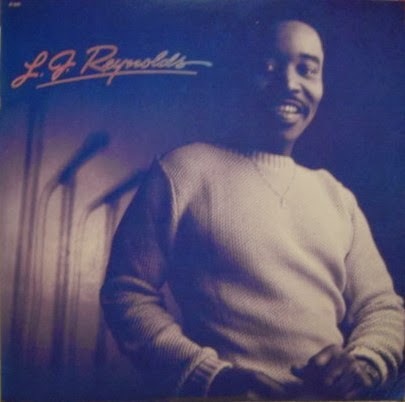 Ok on with the music listen out for the L J Reynolds track ...shitttttttttttt I forgot how great that track was, lol. I am also featuring 2 tracks from Bradd Marquis, I think 2014 holds big things for this guy. Click 4 Podcast. Mickey has one 4 sale! 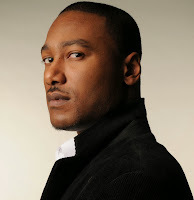 Simply put, Bradd Marquis is a multi-talented entertainer (singer, actor, writer and producer). With an athletic frame, Bradd Marquis can easily be mistaken for a fashion model, but instead has chosen to utilize his soulful tenor to captivate audiences from the very first note he belts out. Hailing from a time in music when soulful crooners like Marvin Gaye and Teddy Pendergrass monopolized the airwaves, this gifted vocalist, who is often compared to these legends has honed in on their sounds and given life to today’s music. As a result of this, Bradd has graced stages to perform signature classics in tributes dedicated to icons, Sam Cooke, Donny Hathaway and Luther Vandross. Having separated himself from the legion of male vocalists on the scene today, Bradd has piqued the interest of all whom witness the magic he brings to stages. Bradd has performed on Showtime at the Apollo and brought that tough New York crowd to its feet. Bradd Marquis was awarded the Soul Singer of the Year award on BET’s 106 & Park and has also shared the stage as part of a tour that featured singers, India Arie, Jaheim, Tamia and Grammy award winning producer, Gordon Chambers. During one performance, R&B hit maker, R. Kelly was also brought to his feet, giving him a standing ovation for his captivating performance. In addition to his musical talent, Bradd Marquis was raised in a home that valued spirituality; which is prevalent in his charming, manner able personality.